Emma Bailey Hand Painted Ceramics. 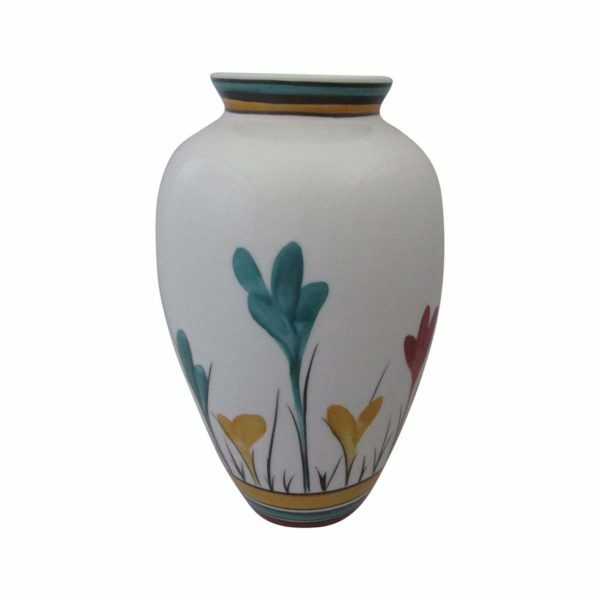 22cm Vase in the Crocus Design. Emma Bailey Ceramics Vase Crocus Design. This Emma Bailey Ceramics Vase Crocus Design. Hand painted on Staffordshire Fine Bone China. Will make an excellent gift idea for a wedding present or wedding anniversary. As well as a gift idea for Christmas or a Birthday. Due to different brush stokes during the hand painting process. No two vases are exactly the same. Emma now works in her own studio. Based within the Middleport Pottery in Burslem. After designing and decorating ceramics for many years. Working for many of the leading ceramic artisans such as Josiah Wedgwood. Emma hand paints the designs herself. In the traditional method. Which is rarely used in the modern day production methods. Which gives her a great satisfaction to have that skill. Emma Bailey designs come from inspiration and very often spontaneous creation. 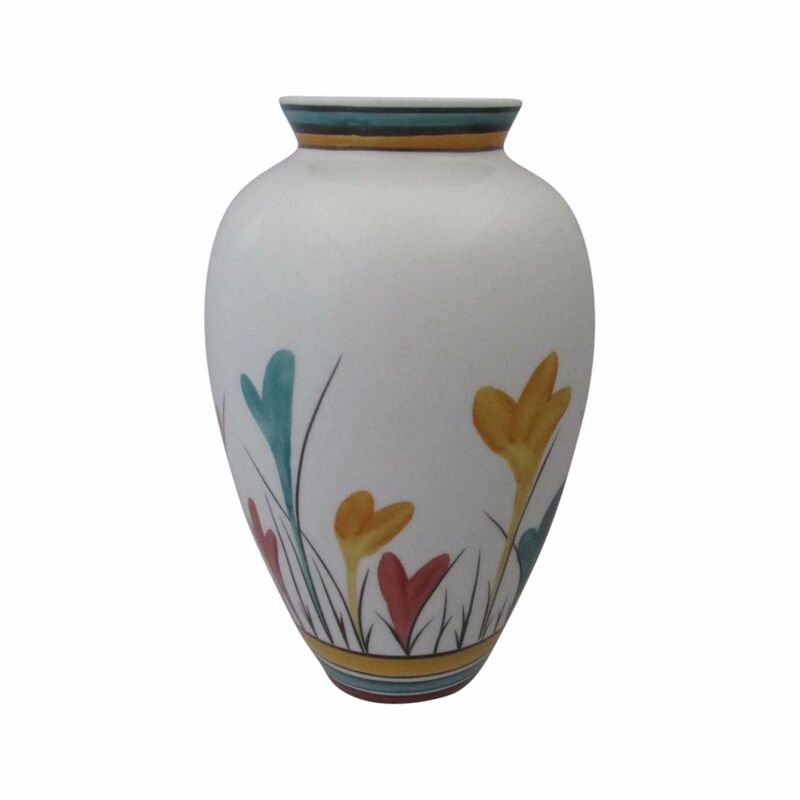 And our on-line price for this vase is £59.95 including UK postage. Plus we also ship world-wide with discounted international shipping rates. Additionally we have available other vases produced by Emma Bailey Ceramics. To view the stock currently available please click Emma Bailey Hand Painted Ceramics.